It's rare that South Florida gets any snowflakes, much less cold weather. But who says that means they have to get left out from feeling festive and getting into the season? 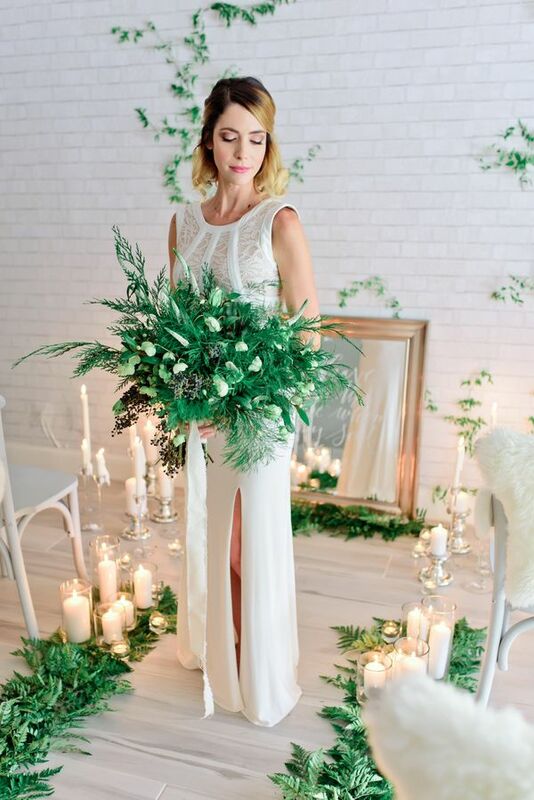 This utterly gorgeous inspiration shot by Jillian Tree Photography and Sweet Memories Photography brings in the snow whites with lush greenery. If you can't bring in tall evergreens, get creative like Maison Francis did and use ferns like warmer climates natively have on hand. 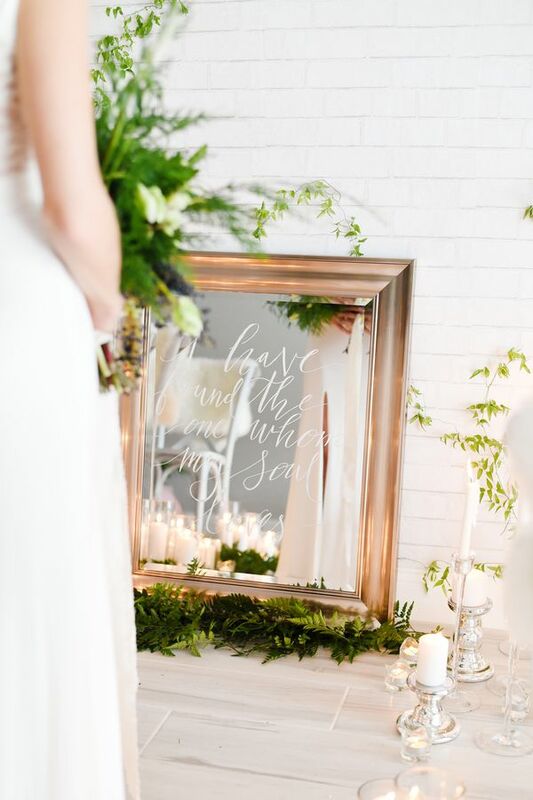 It's absolutely unreal how many details are jam-packed into this shoot! 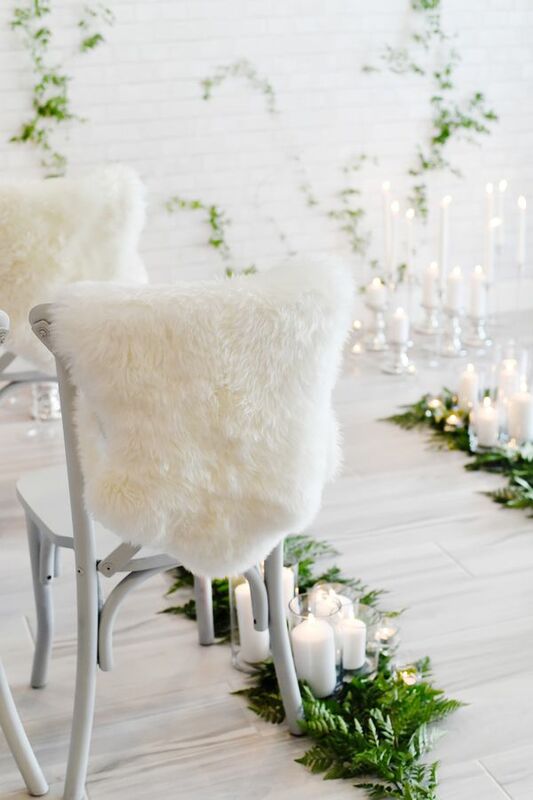 We love the ivy snaking up the white-washed brick walls, the candles at the altar and decorating the aisle, and the sheepskin hides draping the chairs. 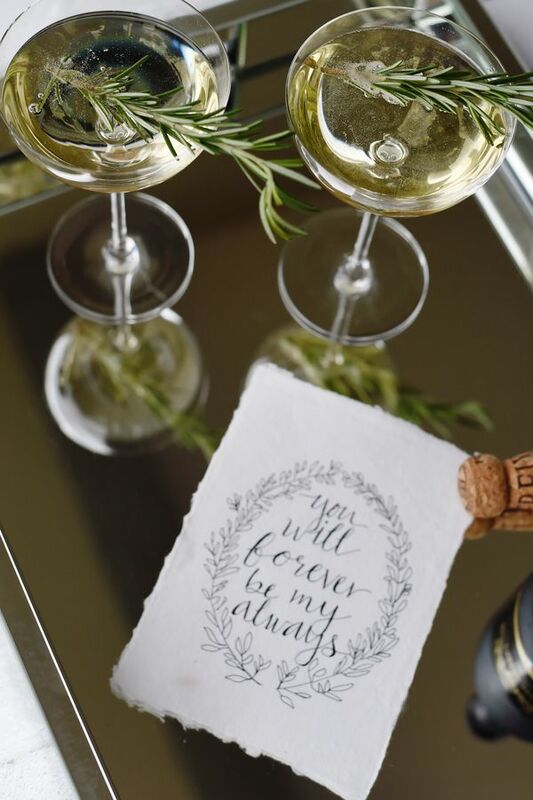 Turn this inspo into a wedding-themed hidden object puzzle and see how many details you can find, and inevitably fall in love with! From the design team, "Living in South Florida has earned its reputation of the lucky year round summer." 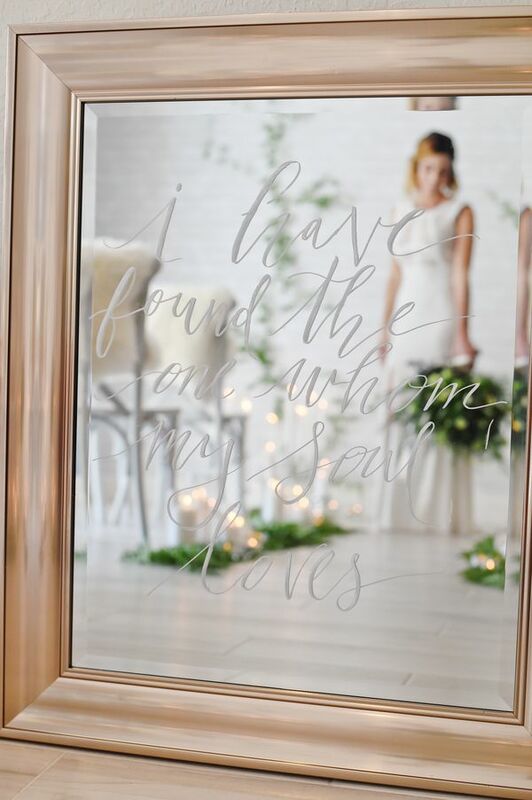 "However, being lovers of the seasons, and realizing how much our environment actually has to offer us, we were inspired to break the stereotype and showcase an intimate winter wedding in sunny South Florida." 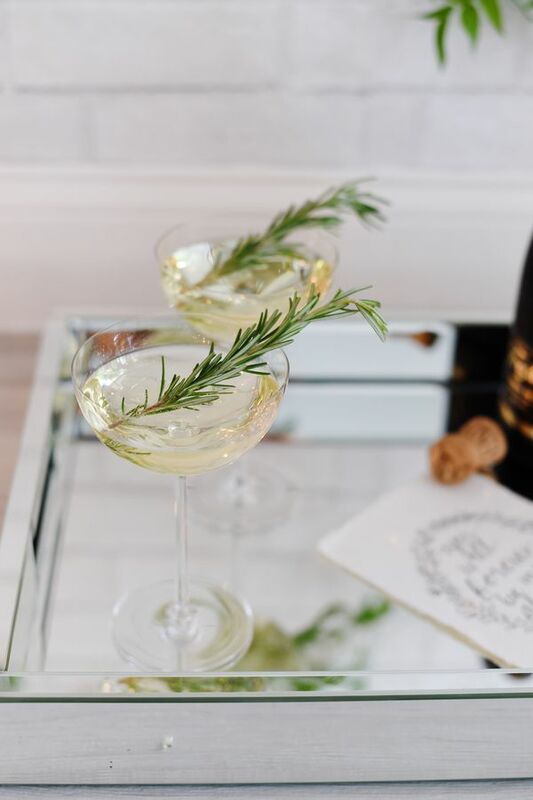 "Because we do not experience harsh winters down here, we based our entire inspiration around the evergreen family, which grows year round in all sorts of different climates." 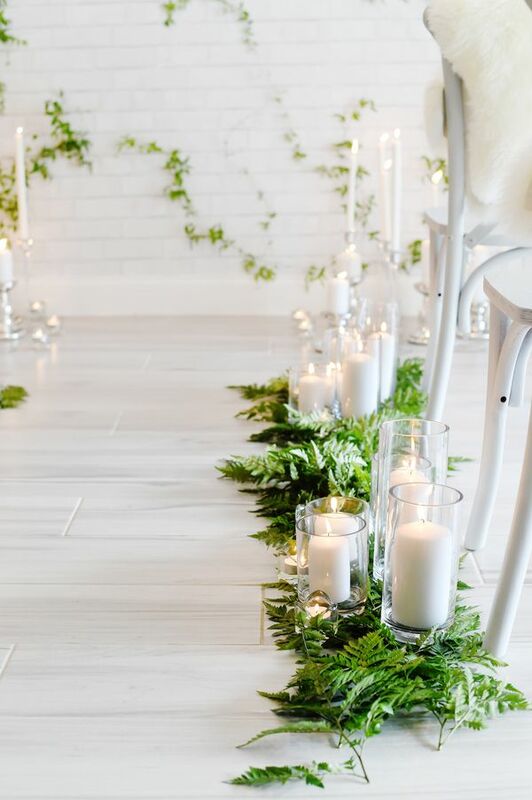 "Not having access to crisp white snow, we set the scene besides a wall of white bricks for warmth and coziness yet still being clean and sharp." 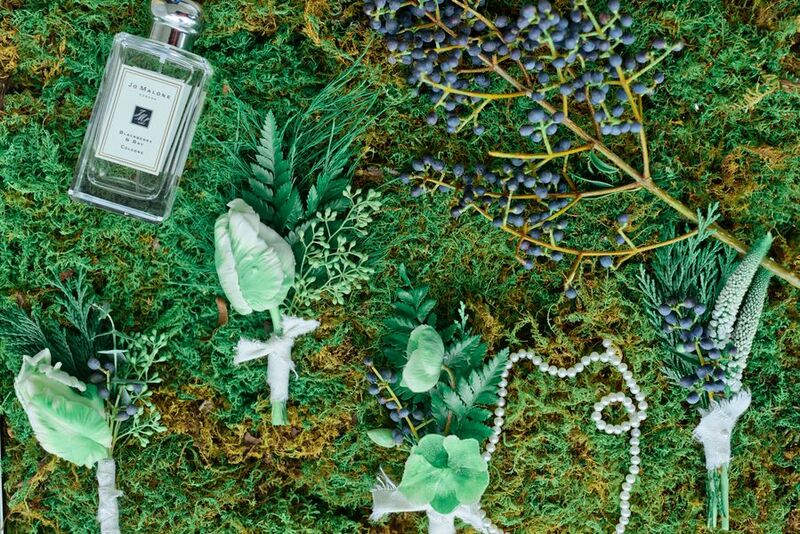 "The white allows the green to truly pop and be the main attraction. 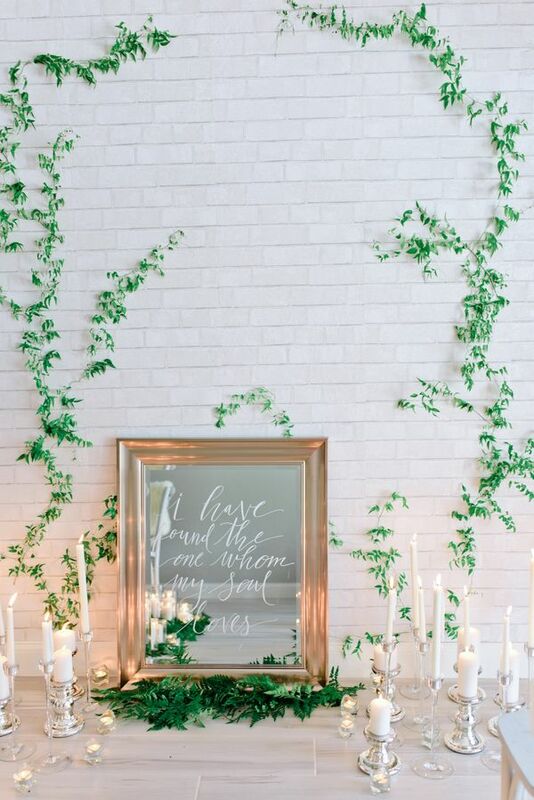 We wanted to keep the overall design minimalistic and chose a delicate vine to accent the brick wall turning the ceremony it into a statement piece." 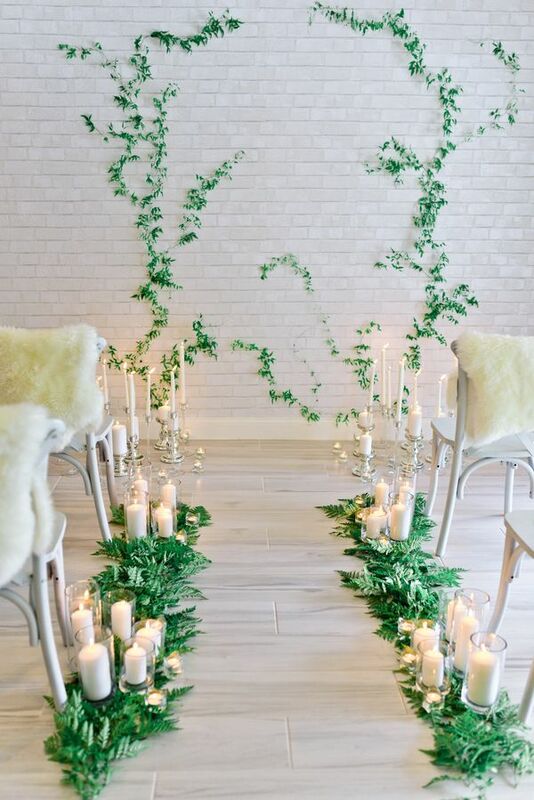 "We incorporated tons of candles to set the mood and create a warm and romantic atmosphere for the ceremony." 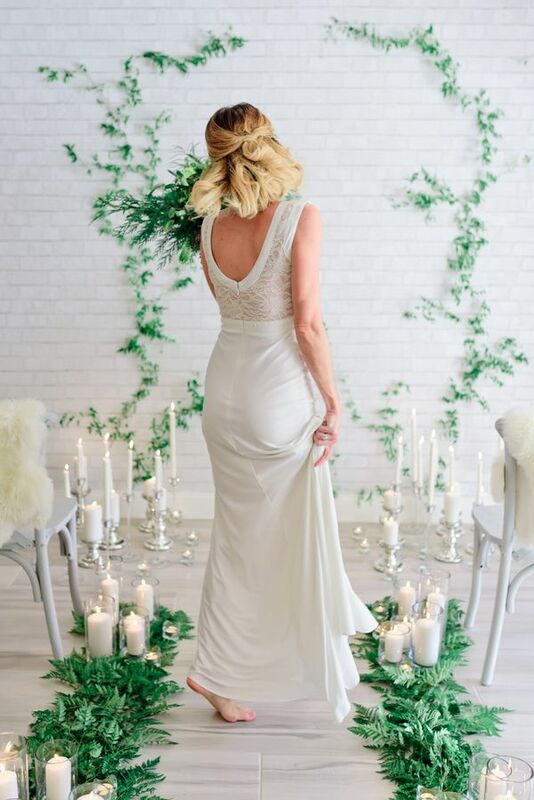 "The flickering flames of the candles provided a timeless elegance and variations in height provided depth and adding an oh-so-pretty glow to the ceremony. The sheepskin hides boho aesthetic tied in perfectly with the overall minimalistic feel once thrown over the vintage chairs." 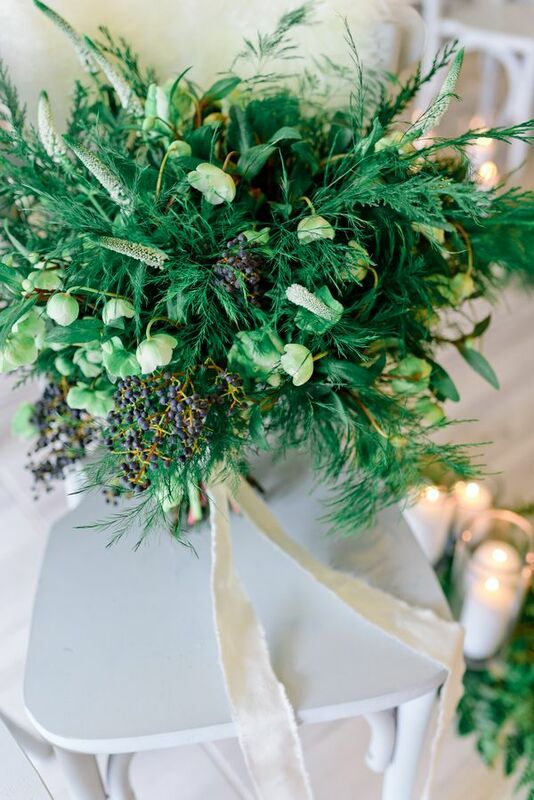 "We chose a fern bouquet for its dense and lush appearance, paired with Hellebores, a winter bloom with green undertones to complement the greens of the Plumosa and Cedar, while added touches of White Veronica were reminiscent of freshly fallen snow." 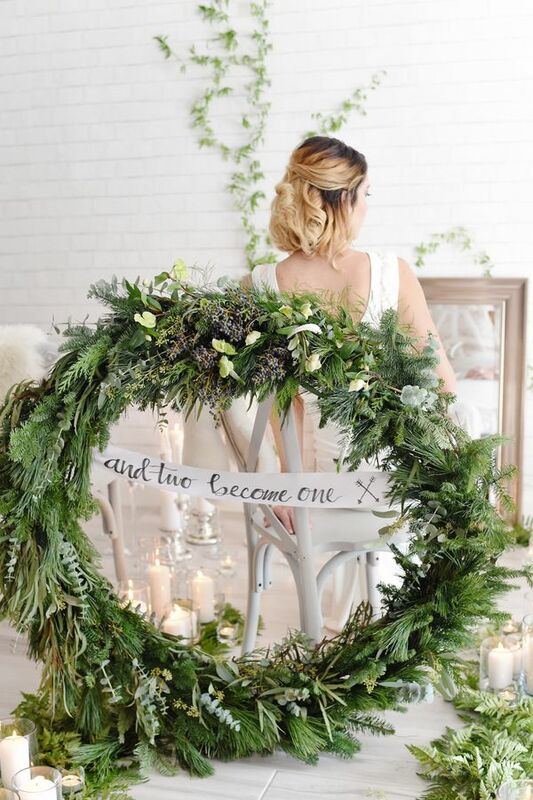 "Lastly we chose to create a large winter wreath of evergreens accented with Hellebore and White Veronica, because a wreath is evocative of a love that knows no end, just as a couples' wedding bands." 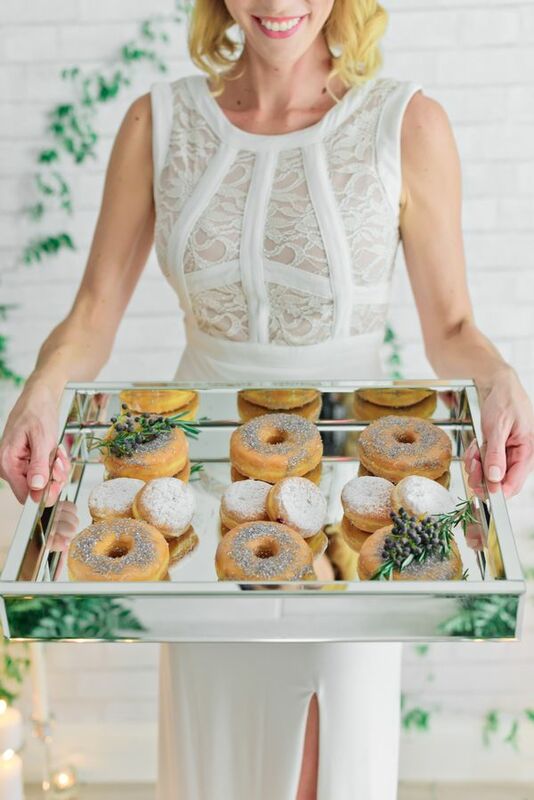 "Finally, we brought in a bold and unique element to the shoot by using silver sprinkled doughnuts for a fun and unexpected twist to the traditional cake." 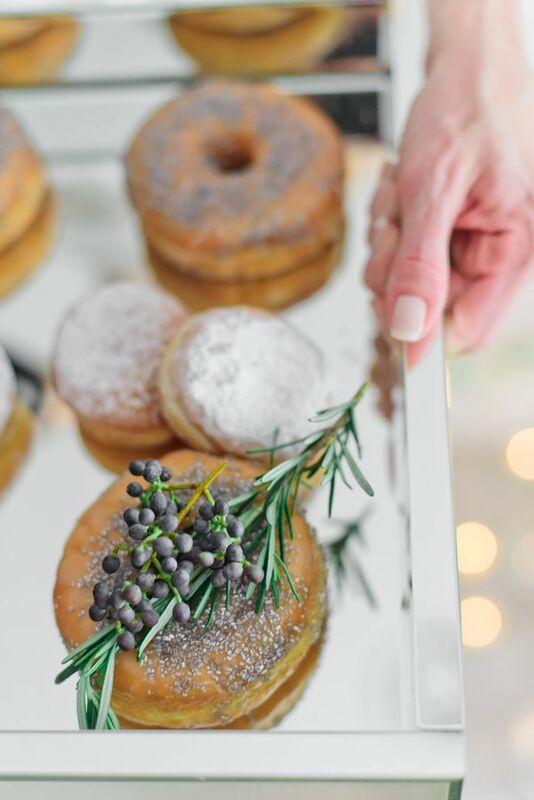 "Being served on a mirror tray provided the dramatic effect of winter ice while retaining the sleek and elegant mood of the shoot." 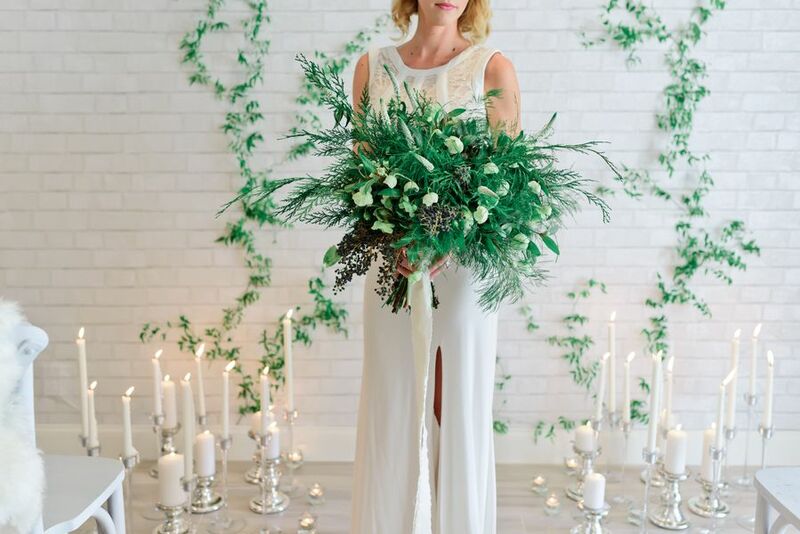 No Comment to " Florida-Style Winter Wedding Inspiration "